Oakland Healthy Housing initiative is part of Oakland’s proposed proactive rental inspection ordinance and program. With the overwhelming amount of blight complaints, health risks induced by older housing stock, and recent fires in Oakland, the City is taking measures to ensure the safety of its residents in their homes. The proposed program is similar to those successfully implemented in other Californian cities such as those in Sacramento, Richmond, and Los Angeles, and work by creating a registry of rental units that are inspected to determine livability of its inhabitants. Current City inspection process is a complaint-based, reactive process that responds only after problems have surfaced, but proactive inspection process identifies potential hazards before they arise. Oakland Healthy Housing is a program designed with the understanding that staying and thriving in our town involves going beyond basic habitability to safe housing for all regardless of one's ability to maintain it. 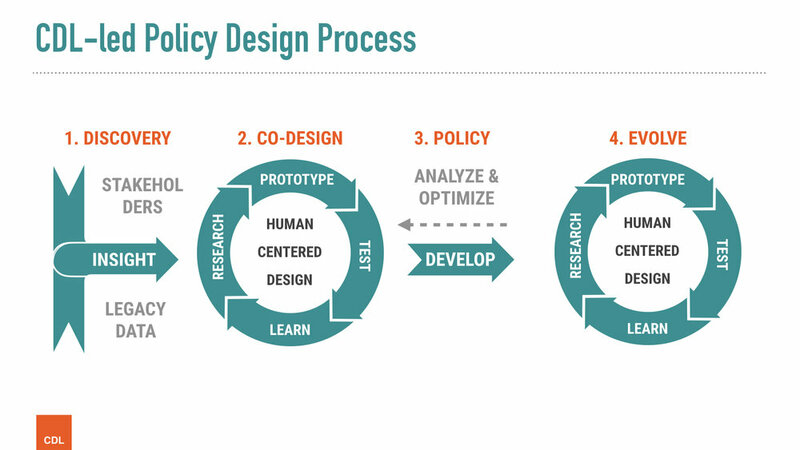 Our Opportunity: The overall purpose of CDL’s engagement with Healthy Housing Inspection (HHI) policy design process is to implement the human centered service design delivery model. By using this model, CDL puts the end-users at the forefront of government service delivery process to ensure that the critical needs and priorities of Oakland residents are accurately reflected in the City’s services and policies. 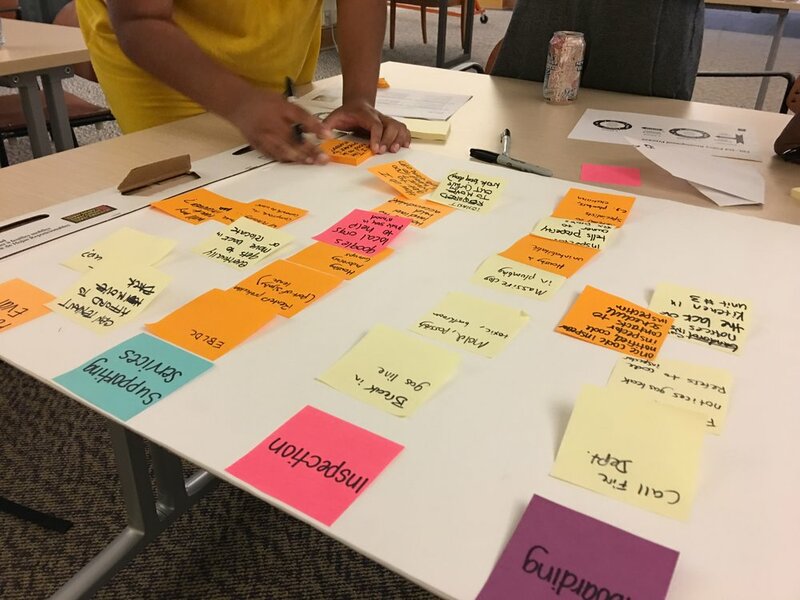 The user research undertaken from mid-July to August 2017 was Part I of HHI policy design as a means of community engagement efforts to shape the City’s future policy. To collect the most comprehensive data CDL sought to undertake a multi-pronged community engagement through surveys, interviews, and community workshops to inform Part II of HHI policy design. Lack of awareness of city services and general education on housing maintenance, but also lack of clarity on renter/landlord relationships. CDL also met with City's Code Enforcement staff to learn about the complaint-based inspection process end-to-end (intake process, inspection, post-inspection). Furthermore, staff was asked to identify challenges and pain points they experience with the current process. 1. General Community Concerns - Inspection is only a small part of what the City may need to improve in the overall system to make healthy housing program a success. From renters perspective, there are many supporting services, such as relocation financing and policies that are needed to protect renters from eviction. From property owners perspective, they also need a lot of support, particularly in areas which may make more sense to help educate new landlords about their rights and responsibilities. 2. Potential Impediments to Engagement - Some members of the community felt that the policy alone may not be sufficient to address the more complex issues of housing, citing that the city already has so many policies that simply aren’t being enforced. The City should be cognizant in future policy design to build in mechanisms that will make an ordinance easier and therefore likely to be enforced. 3. Semantics - the community were concerned with the framing of the healthy housing program, especially around the usage of terms such as ‘proactive’, ‘enforcement’, ‘inspection’, as it conjured up negative connotations and expectations of the residents being seen to be in the wrong. Alternative approach maybe around providing continuing education for both property owners and renters, training for all parties including for city staff engaged in program implementation, certification program, such as those seen in traffic schools (for red light violations), or giving the opportunity for residents to get things right (as in most cases these maybe for things they were not aware of in the first place). Based on what we learned in the discovery phase of Healthy Housing Program research, we developed two early prototypes that capture the prospective process of implementing a proactive rental inspection policy. We also determined that these services would need to be somewhat cost-recoverable. Since the scope of proposed Healthy Housing program would vary widely depending on community's ability and willingness to pay, we developed another prototype that showed what services maybe included for different financing models, similar to how one might choose a health care plan. We took these prototypes back to our community and sought their feedback, by taking stock of their initial impression on the proposed program, and subsequently asking them to walk through the proposed program by assuming an identity of an Oakland resident who may be a challenging candidates for the program.